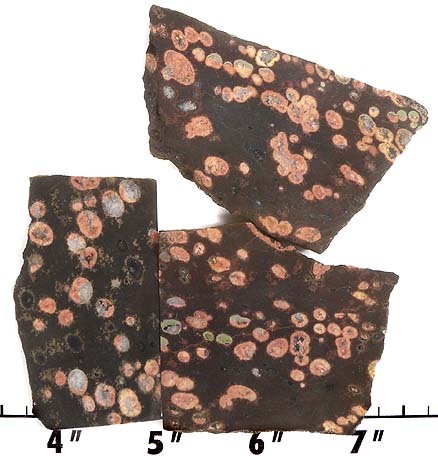 Flower Jasper has colorful spots on a dark background. 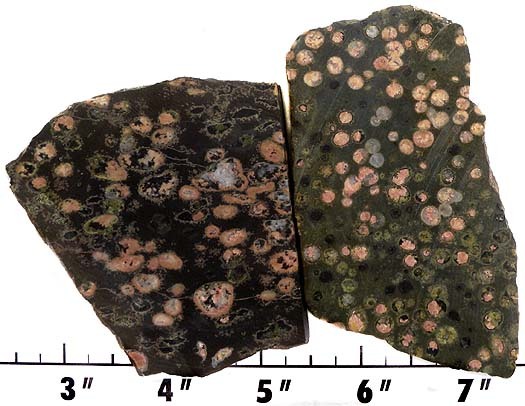 It is called a jasper, but Flower Jasper is softer than a true jasper. 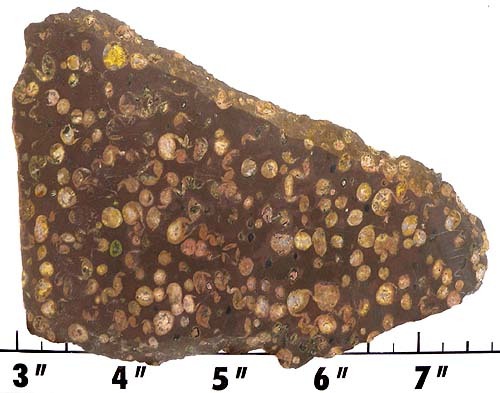 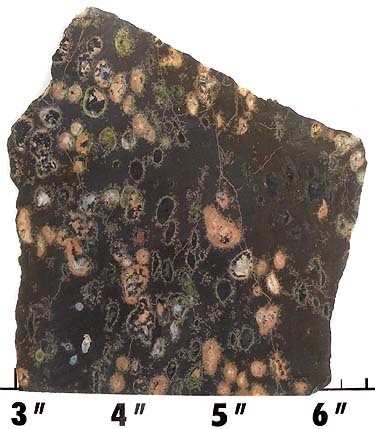 We think it might be a serpentine instead of a jasper, which is cryptocrystalline quartz. 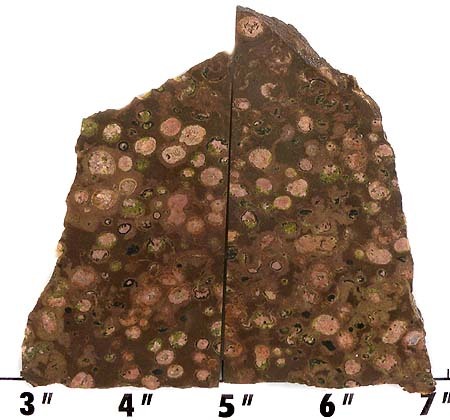 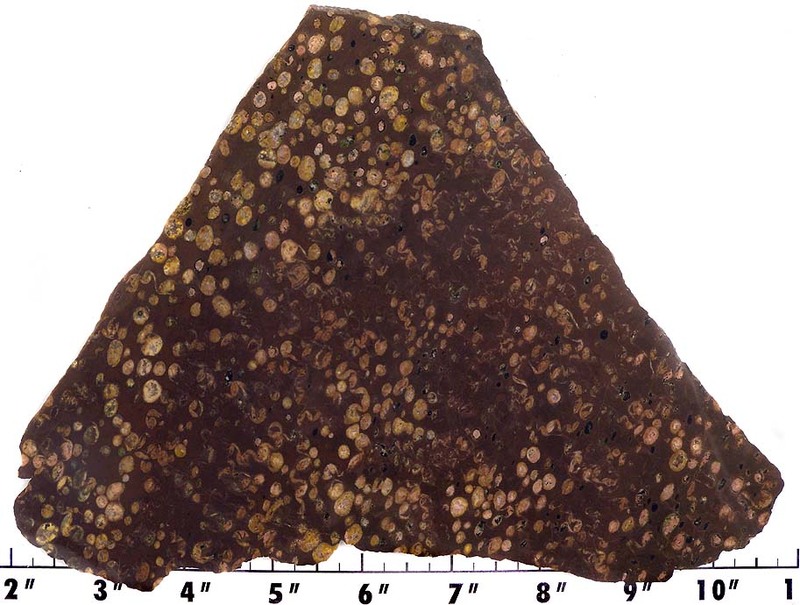 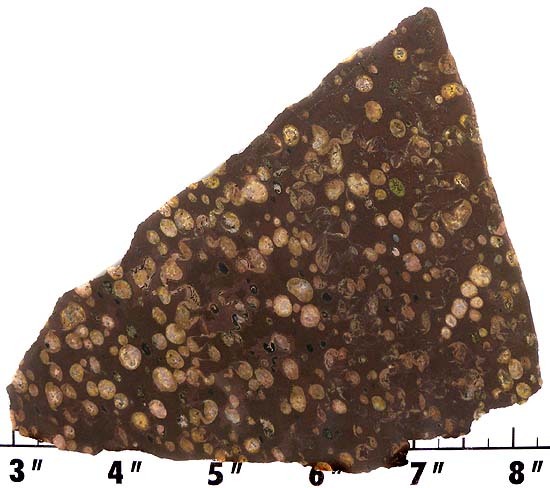 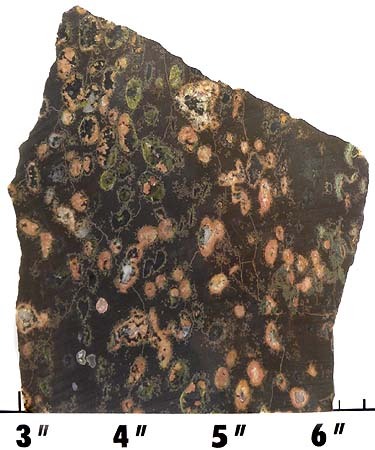 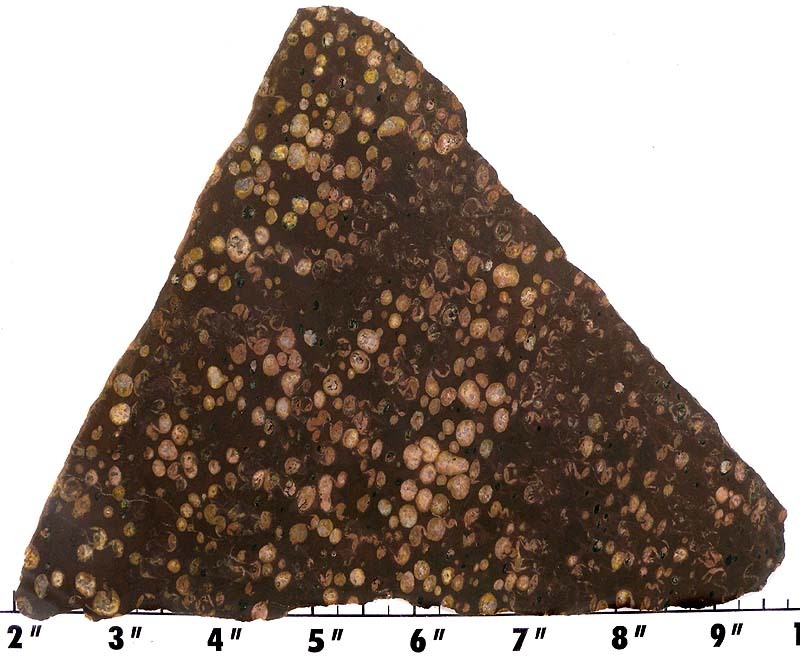 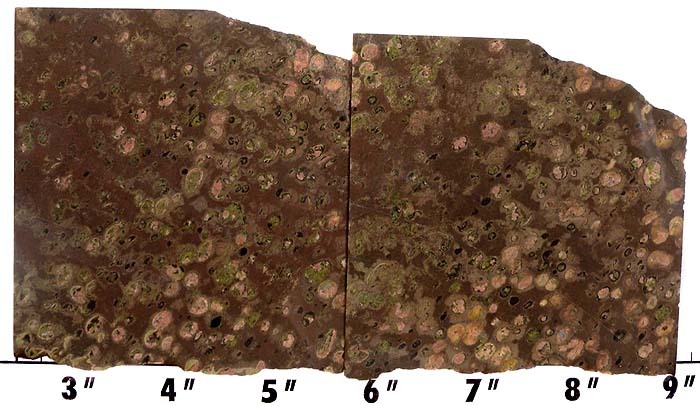 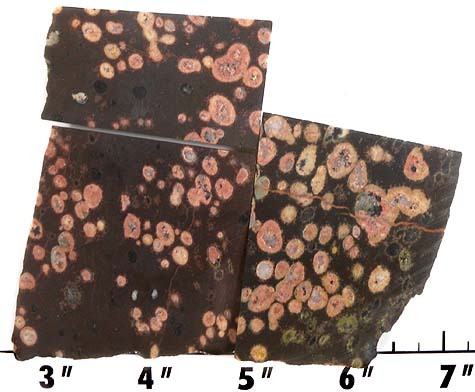 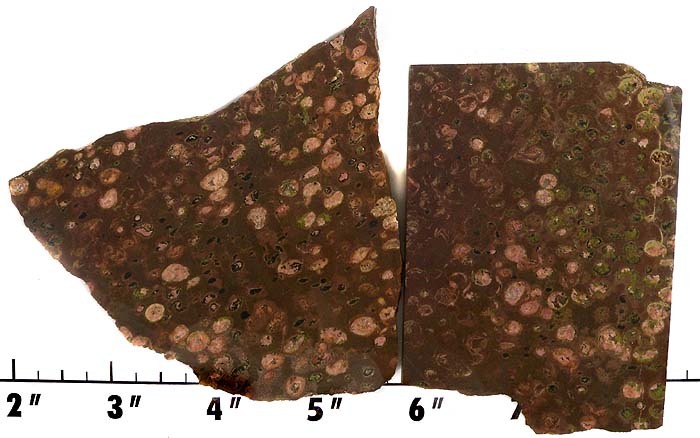 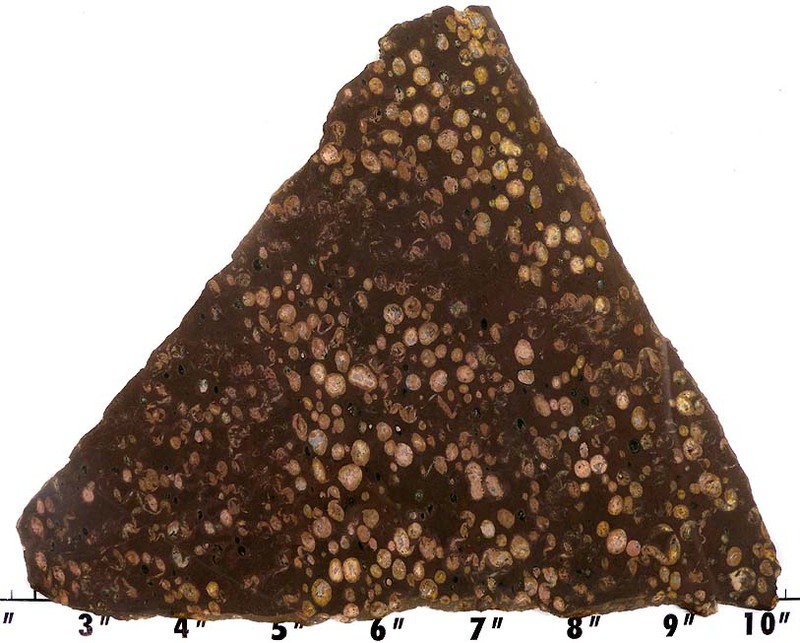 However, the really beautiful pattern of Flower Jasper makes it a great cutting material. 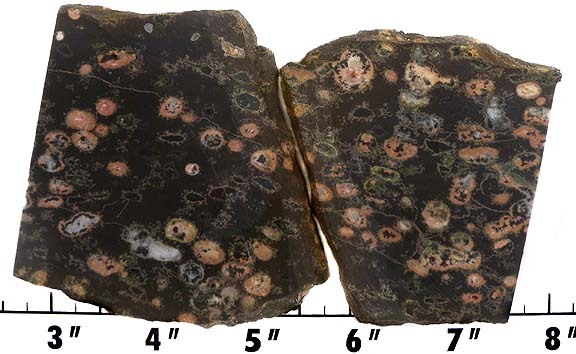 Flower Jasper polishes with diamond, or tin oxide. 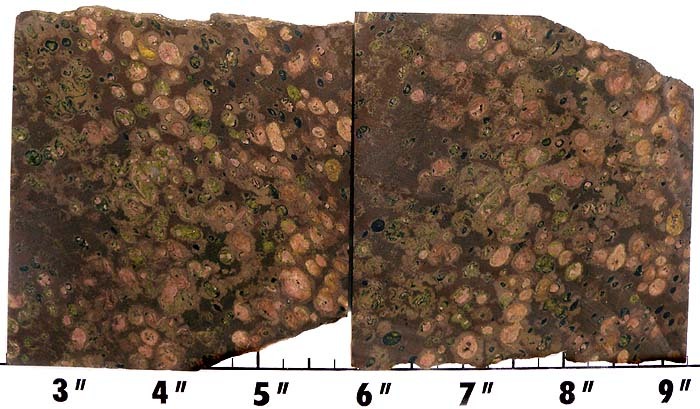 1 at 1/4 to 9/32" thick.